Down the street from Thai Amarin, a new Collabor-fave, is Picante “The Taste of Mexico,” a cool lunch spot that has gained much critical acclaim in the area. Let me tell you: Chipotle, this is not. Fresh, authentic, and reasonably priced, this place is a gem. The best way to describe Picante and its dishes is “colorful.” Bright, festive decor and a fresh mix of ingredients characterize this small eatery. For my first experience at Picante, I took along my mom. Want to see what we ordered and hear what we thought about it all? Read on! 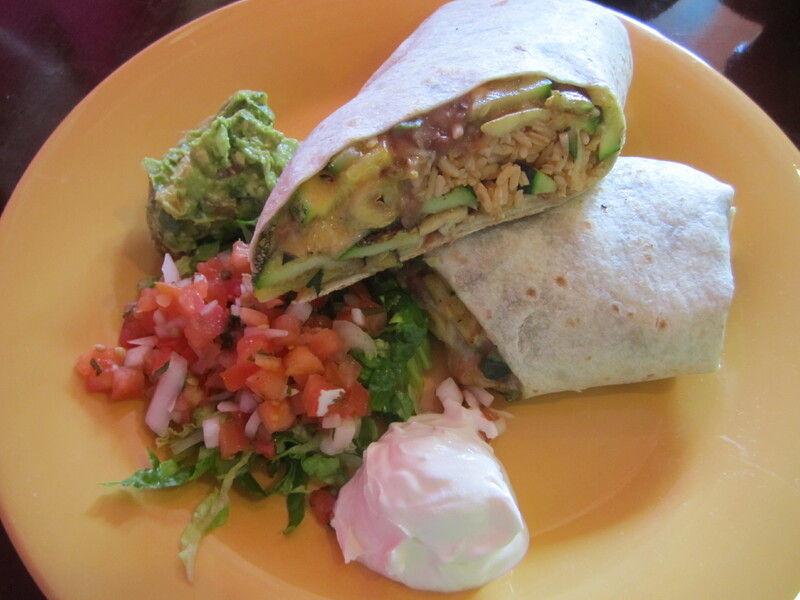 This vegetarian burrito was stuffed with pumpkin flower, zucchini, rice, and beans, and came with sides of pico, lettuce, guac, and sour cream. I’ve never eaten pumpkin flower in my entire life –it’s literally the orange flower you see on pumpkin vines– and was happily surprised by its gritty, tangy, taste. And there must have been an entire fresh zucchini chopped up in my burrito: definitely not a stingy portion. 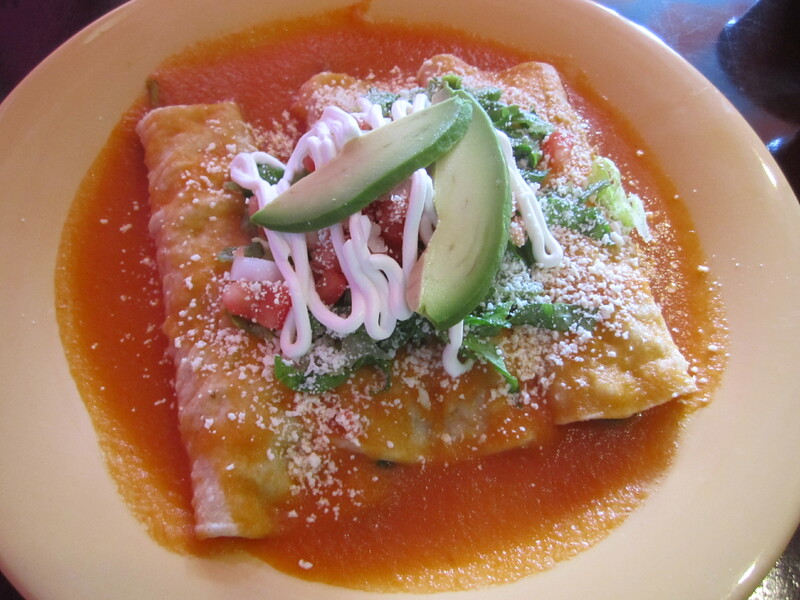 My mom ordered the spinach enchiladas, which were stuffed with fresh spinach and covered with lettuce, pico, avocado, and sour cream and drenched in a light tomato sauce. It was definitely a refreshing treat, and the veggies were crisp and filling. 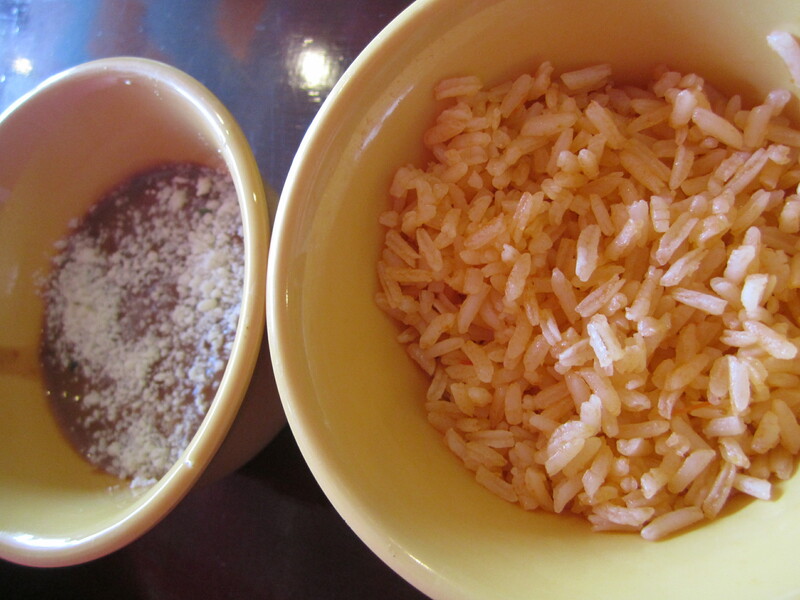 All orders come with sides of pinto beans and rice, a must-have Mexican staple. Overall, my mom and I enjoyed our lunch at Picante, and we’ll be back soon! Hopefully you’re enjoying the reviews of restaurants we try together- let us know if you do! 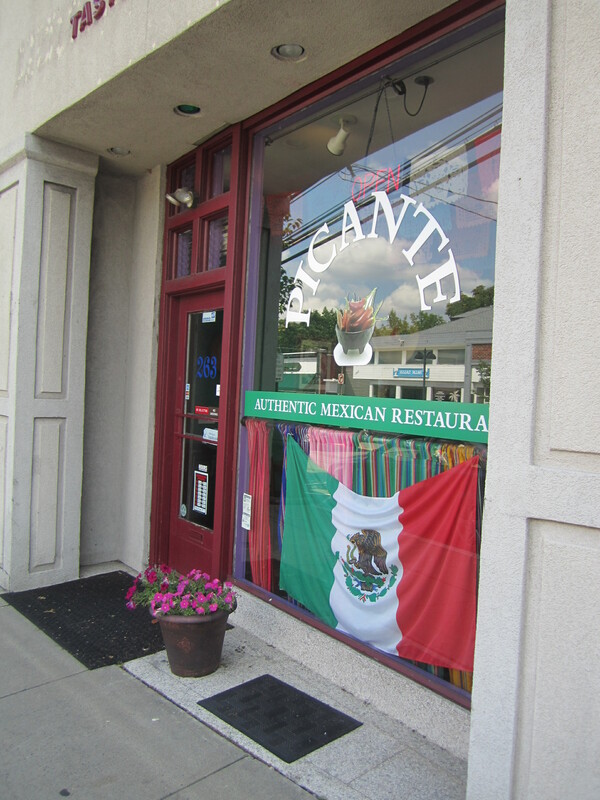 Picante is located at 263 Morris Avenue in Springfield, New Jersey.